A deep resource for jazz guitar. 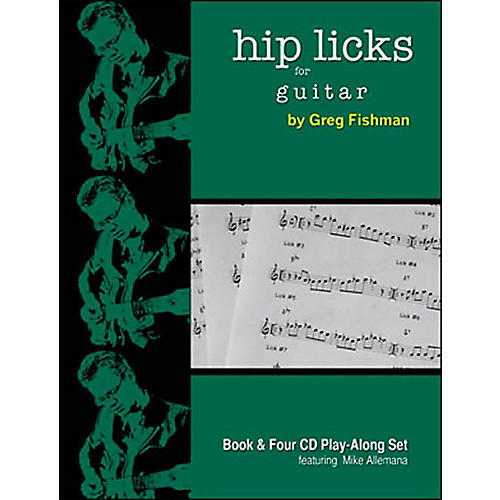 Includes TAB with fingerings for the licks. Twelve Key Approach - Every CD track takes you through all twelve keys. Rhythm-Section-Only Tracks let you experiment with your own variations on the licks and improvise over a wide variety of harmonic settings. These tracks are also excellent backgrounds for practicing all of your chords and scales. Technique Builder - Use Hip Licks for Guitar as part of your daily practice routine to dramatically increase your technical command of the guitar. Increase your jazz vocabulary. Order today.